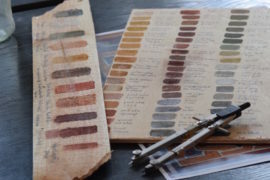 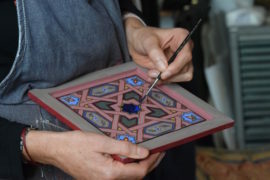 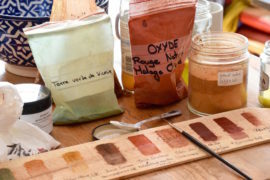 Learn the technique of egg tempera Zouaq painting using hand ground natural pigments from earth and minerals. Zouaq Painting … Zouaq is a painting technique original to Morocco which creates arresting and powerful designs. 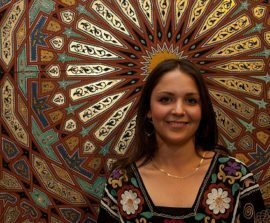 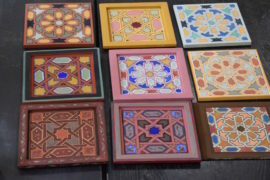 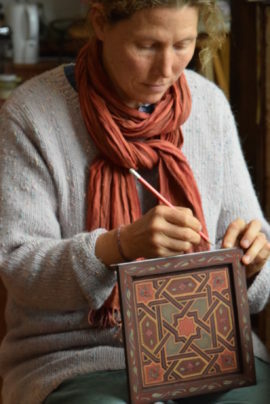 Found painted onto ceilings, doors, furniture and wooden objects it is an integral part of the decoration of private homes and sacred spaces in Morocco. 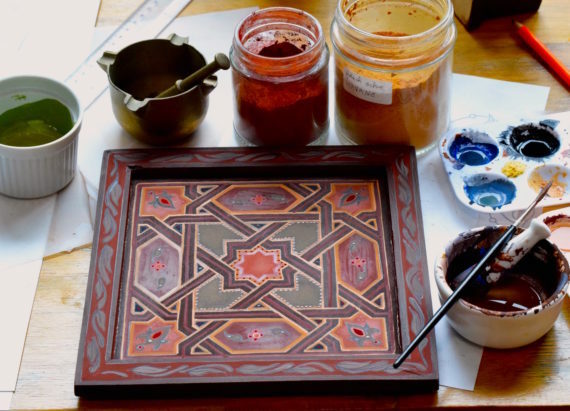 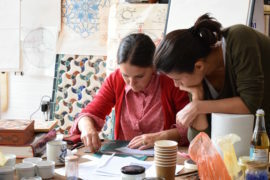 On the course, students will be given an introduction to Zouaq history and its different styles, and learn the technique of egg tempera painting using hand ground natural pigments from earth and minerals.